I watch CNBC every morning at 8:30 AM with the mute "off" because that is when the economic data for the day is released. Taking the television off mutes also provides me with a nice dose of comedy for the day because the talking bubble heads they bring on to provide market commentary are beyond ridiculous. This morning they were in rare form. About 5 minutes before the monthly jobs number was released they brought on a panel of 3 "distinguished" economists to discuss their expectation for the number and its importance for the economy. 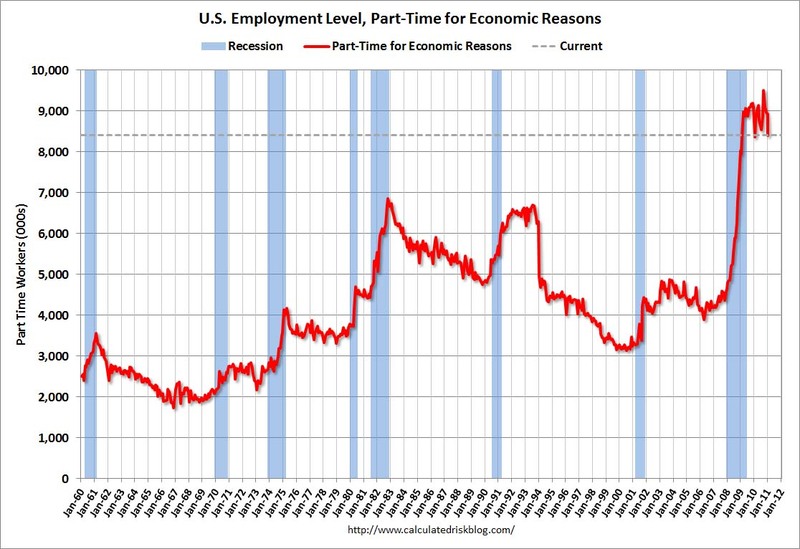 All 3 saw the number easily surpassing the market's consensus for 148,000 jobs created in the month of January. All 3 said that 200,000 plus was very likely and that this continued job growth was a very important indicator for the economic recovery. The number has very little meaning, and was only low because of the snow!! 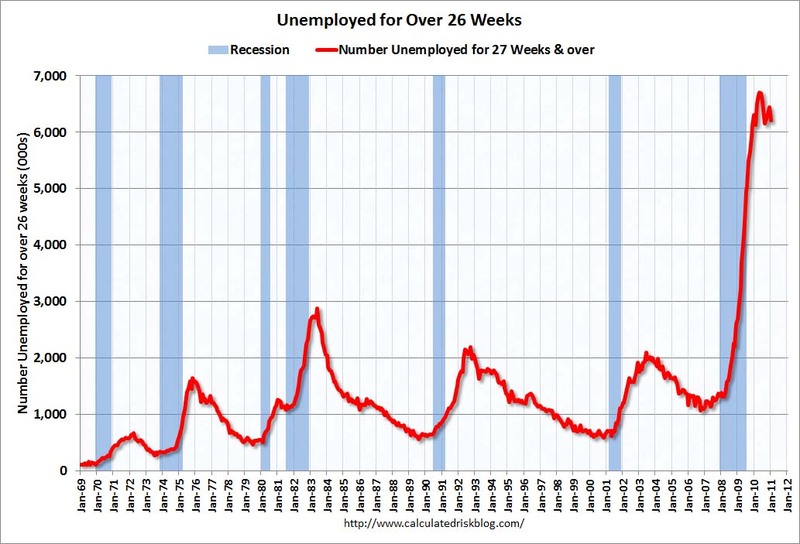 What I would have asked, but was not invited on the show to discuss, is how it was possible that 425,000 Americans managed to get through the snow and register for unemployment insurance last week? 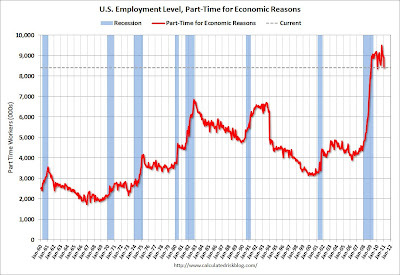 The official U3 unemployment rate fell to 9%, which is the headline you'll read all over the news. 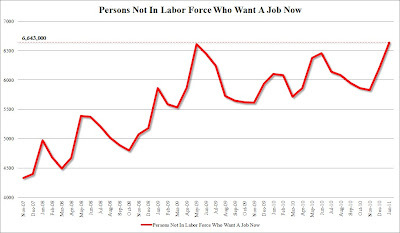 The reason for this, as I cover just about every month now, is because Americans have been out of work for so long that they have given up looking for jobs. 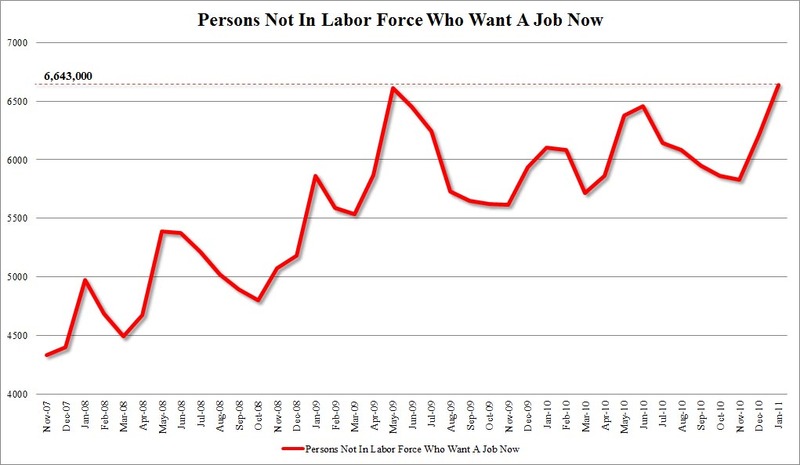 They understand that there are no jobs available, and there are no coming under Obama's communist regime. 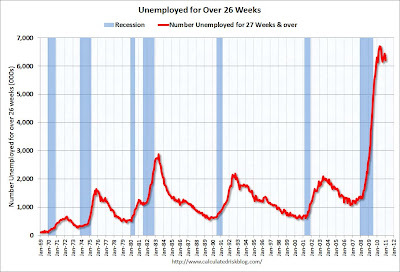 The real unemployment rate that the government releases monthly is called the U6, which measures the unemployed AND the people that have given up. This number rocketed up to 17.3%. 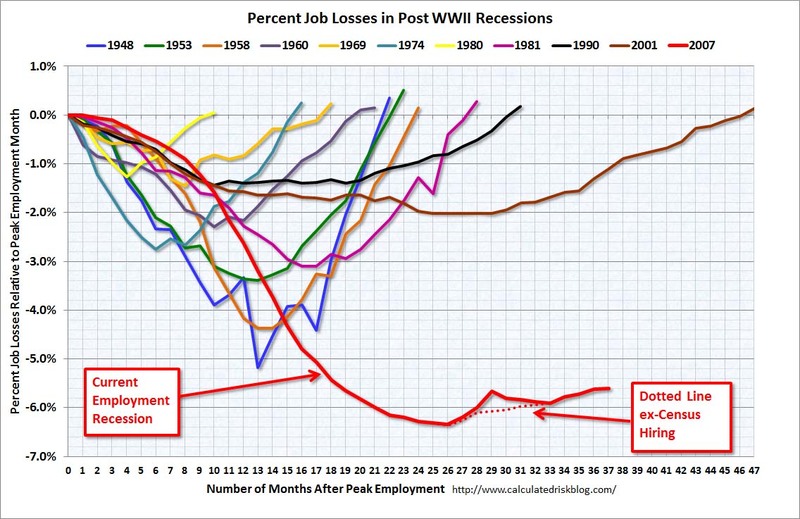 And finally you have our current depression laid against the previous recessions of the last century. 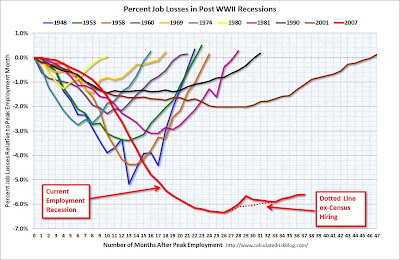 It shows how far we have to go to get back to full employment. Fortunately the Federal Reserve stands ready to print an endless amount of money and pump it into the economy. This does nothing for employment but provides a tremendous benefit for the 1% of Americans who own 90% of the shares in the American stock market. It also helps the Americans who do not need to eat or put gasoline in their cars because those prices are set to hyper inflate in the coming years.